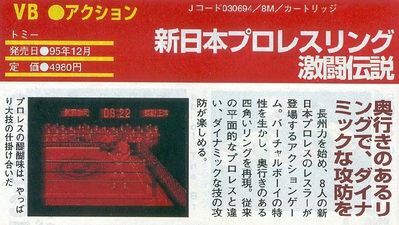 Shin Nihon Pro Wrestling Gekitou Densetsu (新日本プロレスリング 激闘伝説 New Japan Pro-Wrestling: Fierce Fighting Legends) is a cancelled action Virtual Boy game that was in development by Tomy and planned to released in December of 1995 at 4,980 yen. 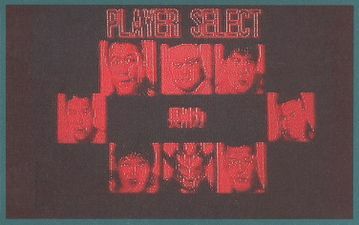 The player plays as eight New Japan Pro-Wrestling wrestlers. The game featured a full lineup of modes, such as Title Match and Time Attack, where they compete for how long it takes to beat their opponent, as well as New Japan's specialty G1 Climax. 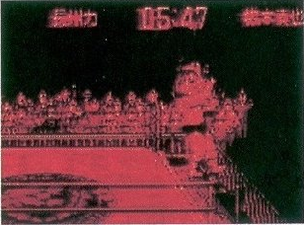 The game also has impressive stereoscopic battles unique to the Virtual Boy. 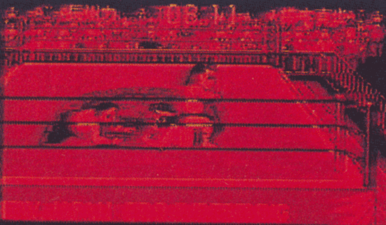 The game was cancelled due to the Virtual Boy's failure. A prototype was rumored to exist likely in the hands of a private collector. There are also rumors that this game was actually released in Japan in very small numbers as it was said in some magazines. 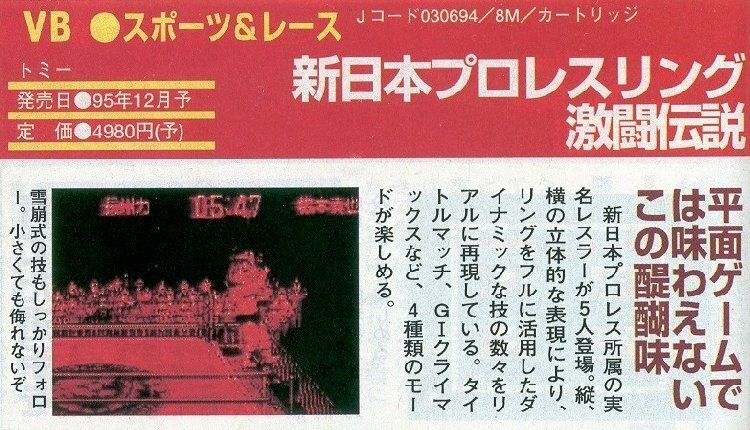 Marushō Super Famicom Magazine review of the game. 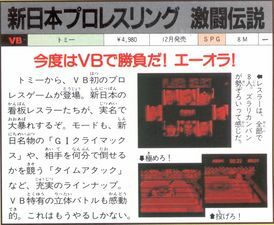 ↑ Page 10 of Japanese to English Translations for Unreleased Virtual Boy Games. Retrieved 14 Aug '17. ↑ Unreleased, Planned & Mentioned Games for the Virtual Boy assemblergames.com Retrieved 14 Aug '17. 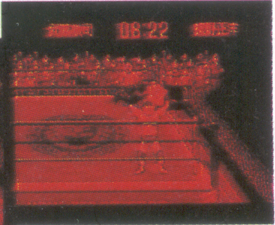 ↑ Shin Nihon Pro Wrestling Gekitou Densetsu « Games « Planet Virtual Boy. Retrieved 14 Aug '17.